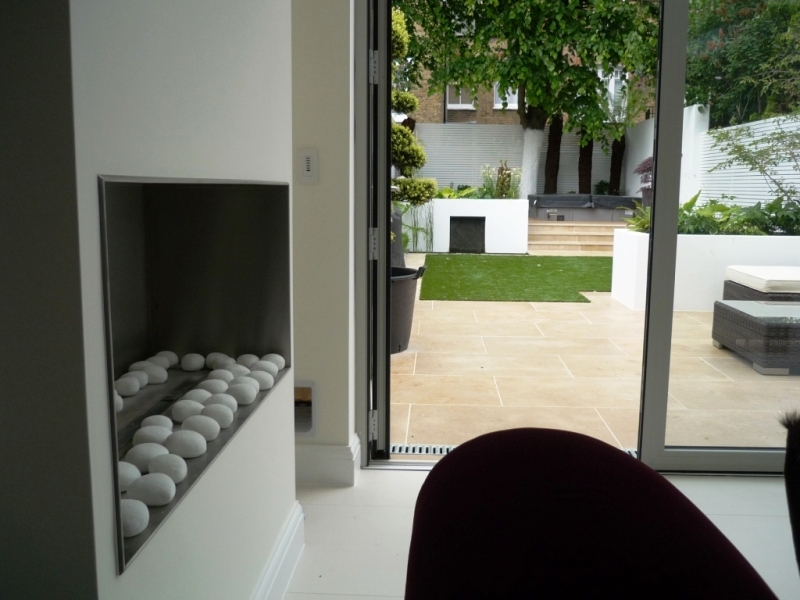 This fabulous client was introduced to The Billington Partnership by Qualities Construction, who have produced yet again the most amazing house conversion. Yet it is the clients own immaculate and exquisite taste that truly delivers the results. 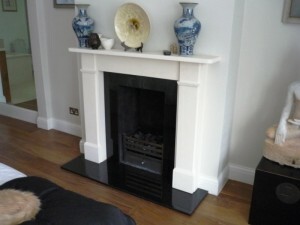 The client knew exactly the fireplaces he wanted and how they would compliment the overall style he was after. 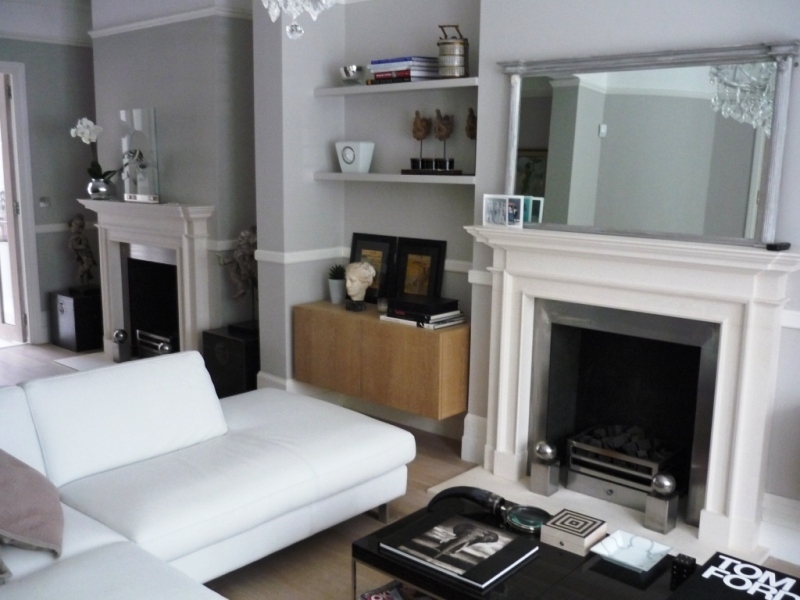 Our task was to install six fabulous fireplaces throughout the house. First of all, we started work in the attic room which was being converted into an open plan guest suite. 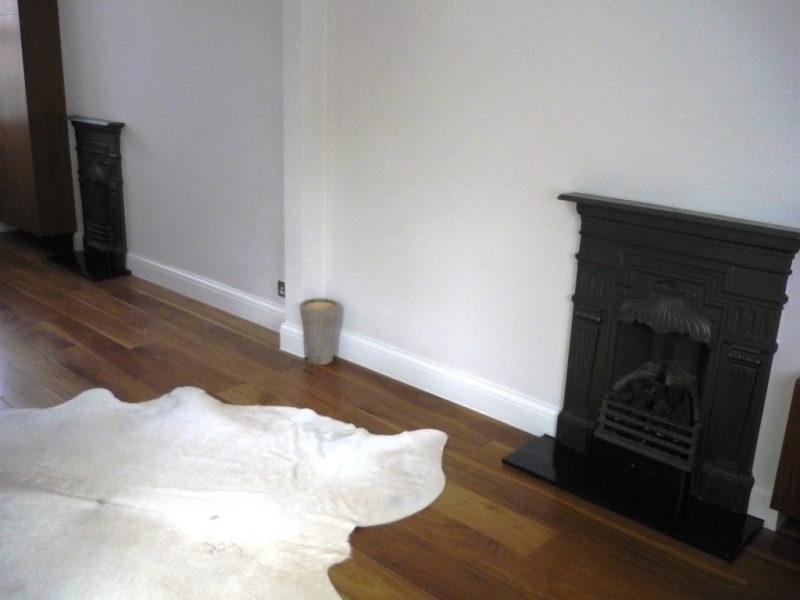 The two virtually identical cast iron combination fireplaces already there required cleaning up, fitting two new hearths and installing a made to measure gas fire in one of the fires. They both add a really lovely authentic feel to the room. 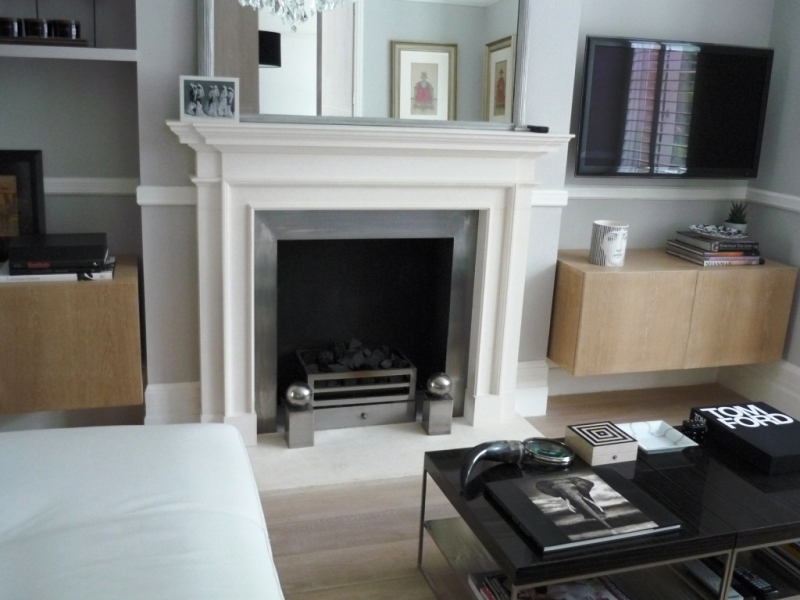 Then, in the Master Bedroom, the client wanted a very elegant and simple surround in limestone along with a working remote controlled gas fire. The result was the classic Flat Victorian fireplace with granite slips and hearth. 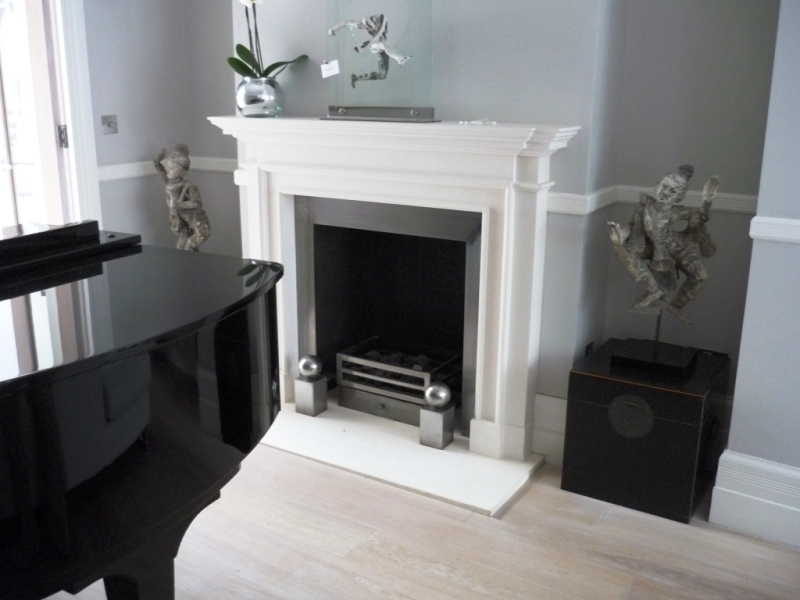 The striking combination of black granite with white limestone remains a wonderful feature of modern day fireplaces. 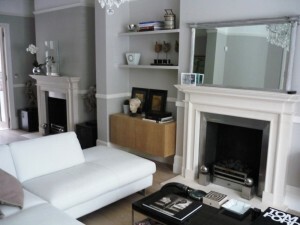 It is also a popular choice amongst many of our London clients. 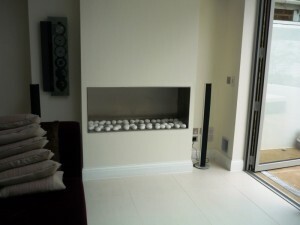 The next room was the kitchen where the client wanted a fireplace feature with a difference. 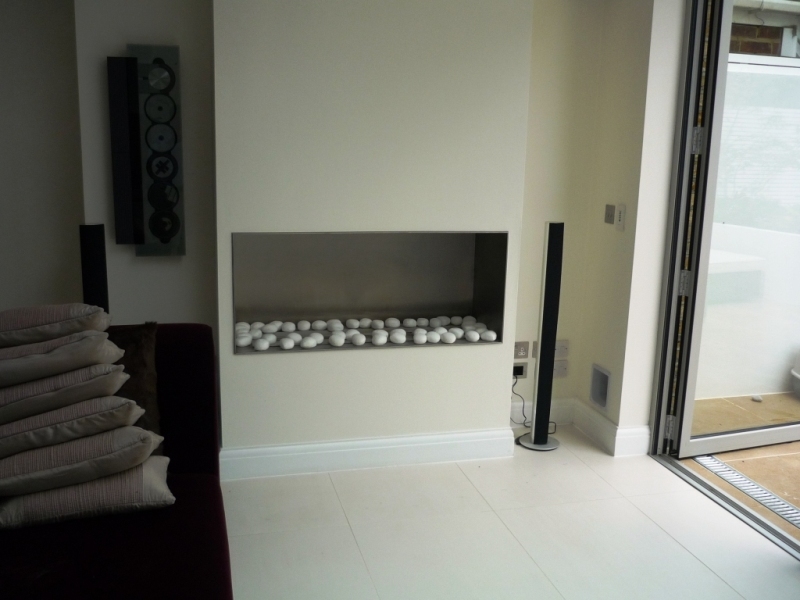 Because of flue issues, the option decided upon was a Bio fuel fireplace which required no flue or additional ventilation. It is a modern look in a very modern kitchen. Also, the bio fuel fire compliments the newly designed garden. The final two fireplaces to be completed were in the main living area. The client chose a pair of Burlington fireplaces from Chesney’s. To compliment the rest of the room we added stainless steel slips. Finally, contact The Billington Partnership for any fireplace requirements for your home.